In simple terms, osteoporosis is weakening of the bones due to a decrease in the scaffolding structure of bone. osteoporosis’ in medical parlance. Osteoporosis may be secondary to steroid intake, alcohol intake, smoking, coffee intake, diabetes, other hormonal disorders, multiple myeloma, prolonged immobilization including prolonged bed rest, etc. Primary osteoporosis is most commonly noticed in women in the postmenopausal period, though it may be observed in older females and males as well. Menopause brings in a lot of hormonal changes that lead to osteoporosis in the immediate postmenopausal period. These changes are all the more pronounced in a case where there has been a premature menopause [which may be due to some kind of surgery]. The simplest and most common investigations for osteoporosis by the best consultant for spine surgery include x-rays, blood investigations including levels of calcium, phosphorus and alkaline phosphatase, blood sugars, thyroid hormones, ESR, etc. Since primary osteoporosis is a diagnosis of exclusion, these investigations are aimed at trying to rule out the secondary causes of osteoporosis, as the treatment plan would accordingly vary. Additionally, in some instances, additional investigations including bone densitometry studies and MRI may be ordered based on individual merit of the patient’s problems. Bone densitometry quantifies the extent of osteoporosis. Top spine surgeons in Bangalore say that prevention is the best treatment for osteoporosis. As the maximum bone mass is built around 30-35 years of age, regular exercise is the key to boost the extent of bone mass at this stage so that there is a greater “reserve” of bone in the later years. The ideal exercise is to go for a long brisk walk for a period of about 1 hour per day. Additionally, life style factors such as alcoholism, smoking and excessive coffee consumption need to be curbed as much as possible. Calcium and vitamin D supplements and other medications that decrease the amount of “bone washout” would also be added to provide relief. Osteoporosis due to premature menopause may need specific hormone replacement therapy. Specific exercises may be taught so as to prevent hunchback deformities that may manifest secondary to the weakened bones in osteoporosis. In the event of a spinal fracture, certain types of braces and belts may be used to support the weakened spine. Rarely, some spinal fractures might fail to respond satisfactorily to the above-mentioned treatment program. In such a scenario, these fractures may be treated with injection of cement into the same so as to strengthen these and provide quick relief in pain. In medical terms, this is referred to as “vertebroplasty”. This is a procedure that requires just a few minutes, but gives excellent relief almost instantaneously. 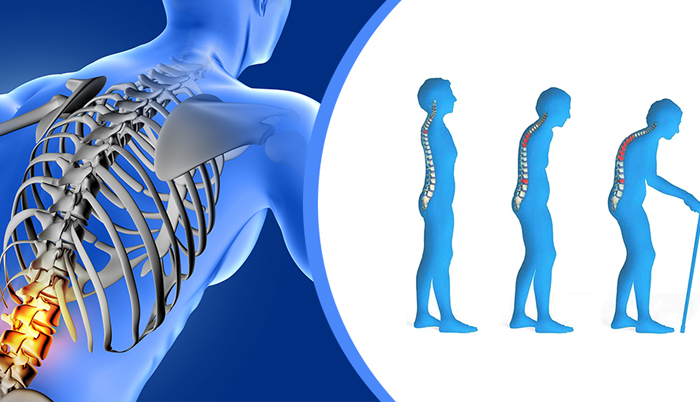 Contact us now for best spine treatment in Bangalore.